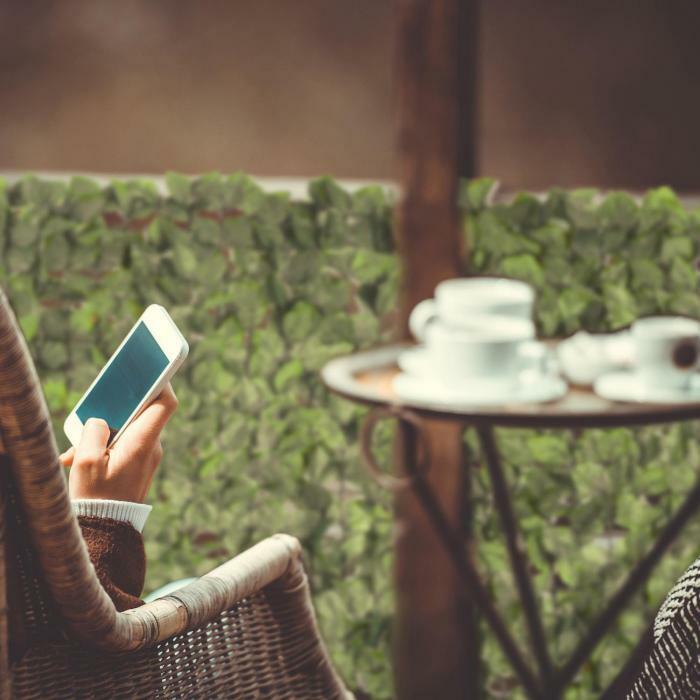 No more prying eyes! 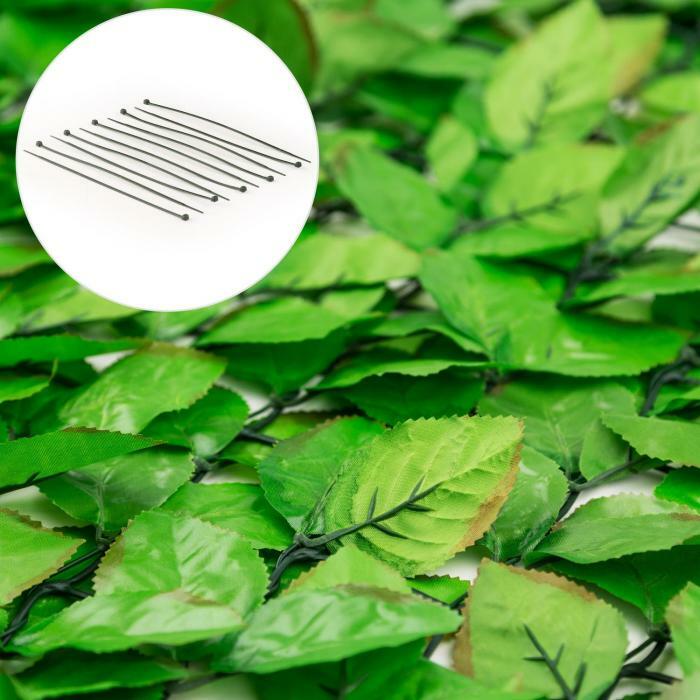 The Blumfeldt Fency Bright Leaf privacy screen fence provides soothing privacy in the guise of summery fresh green leaves for your balcony, terrace or garden. 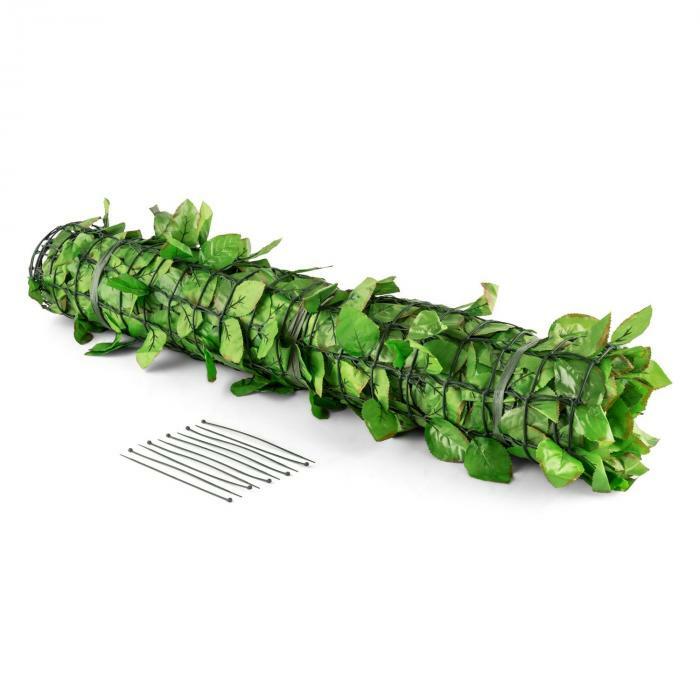 Fast and uncomplicated, simply unroll the 3 m long and 1.5 m high privacy screen to conceal railings, balustrades or fences and securely fasten it with the included flex ties. A thick green robe from approximately 2,700 leaves provides decoration while simultaneously blocking curious neighbors and passers-by from looking into your retreat. 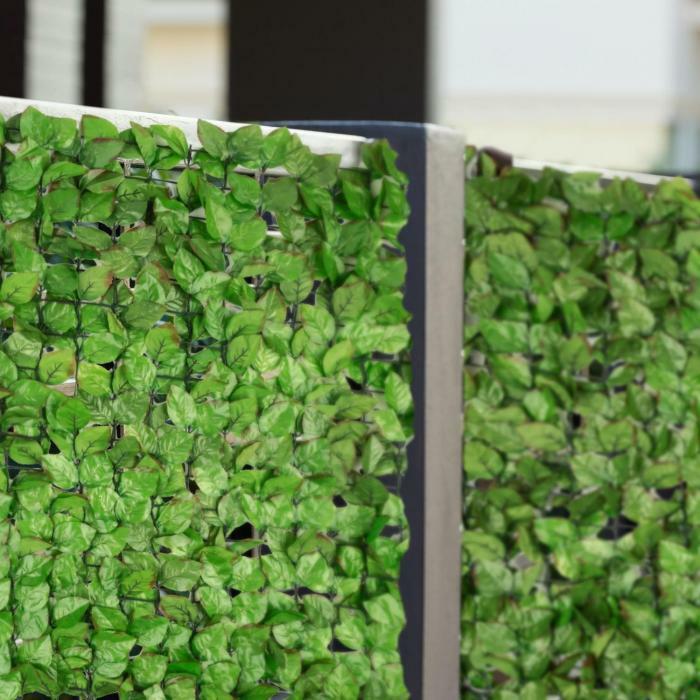 In addition, the leaves function as a windscreen and dampen street noise, providing additional relaxation. 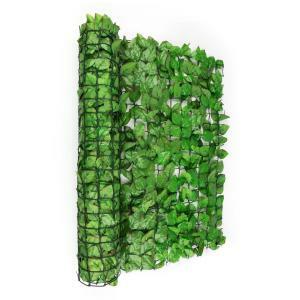 The light green leaves of the Blumfeldt privacy fence are about 8 x 5.5 cm in size and modeled after beech leaves in shape and colour. They are mounted in pairs on a plastic sheathed wire mesh with a mesh size of about 6 x 6 cm. 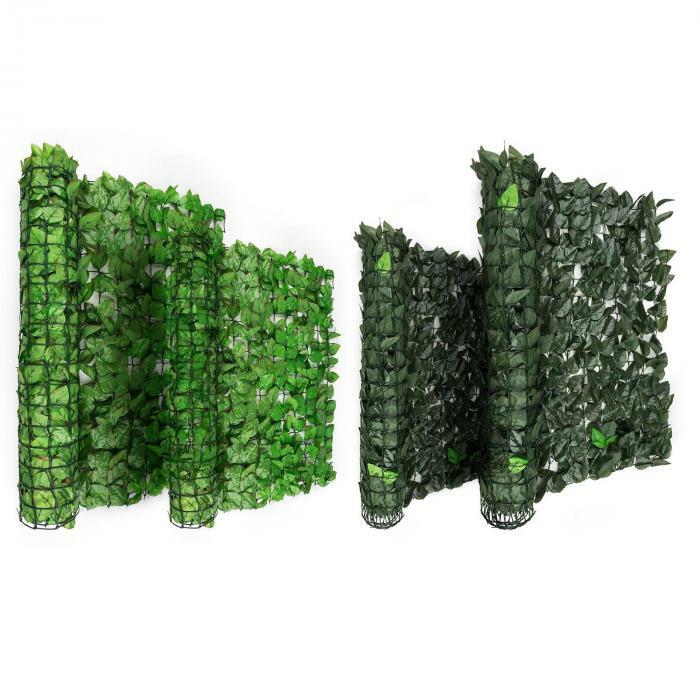 Light green leaves break through the leaf curtain as a freshly sprouting visual highlight. 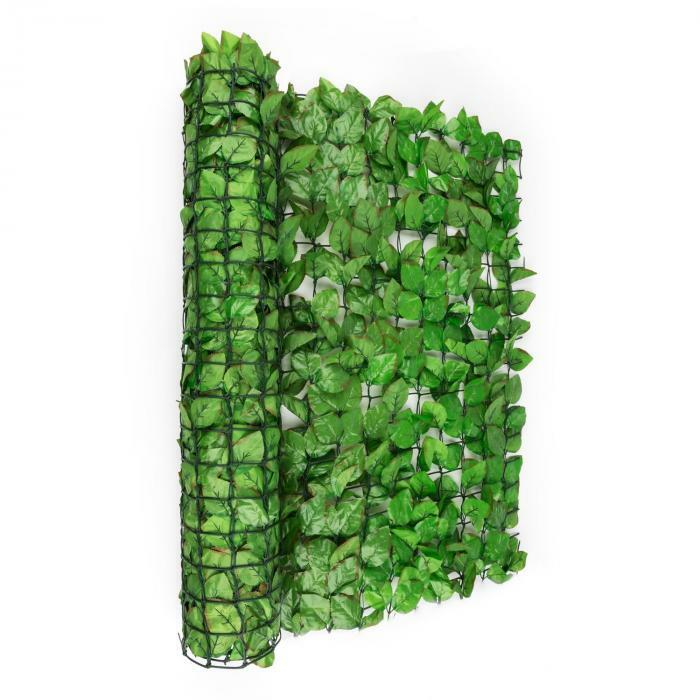 Naturally, the leaf fence is ideal for decorating both interiors and exteriors. Available designs: light green 300 x 150 cm, ivy dark green 300 x 100 cm (item 10029242), ivy dark green 300 x 150 cm (item 10029243), ivy light green 300 x 100 cm (item 10029244), ivy light green 300 x 150 cm (item 10029245), light green 300 x 100 cm (item 10029246), dark green mix 300 x 100 cm (item 10029248), dark green 300 x 150 cm (item 10029249).